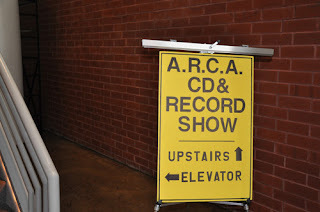 It was an exciting weekend for music lovers at the Bessemer Civic Center where the ARCA's (website: http://alabamarecordcollectors.org/) annual record and CD show was held on May 18 and 19. 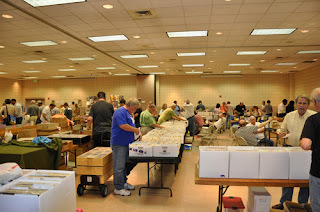 The majority of offerings were vinyl of all formats - LPs, 45s and 78s, collector CDs were also well represented. 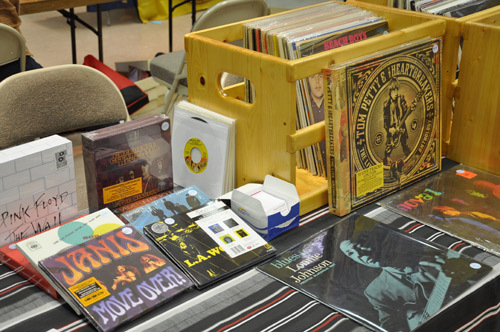 The great selection of music at affordable prices which made it well worth the trip. 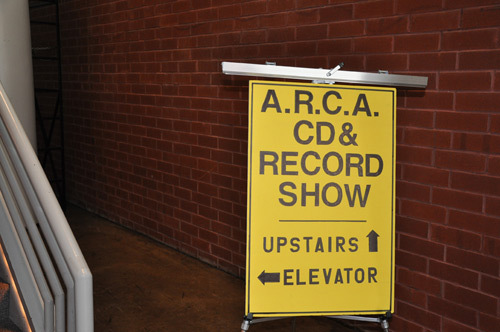 Every year ARCA recognizes someone who's contributed to the local music scene at the show. 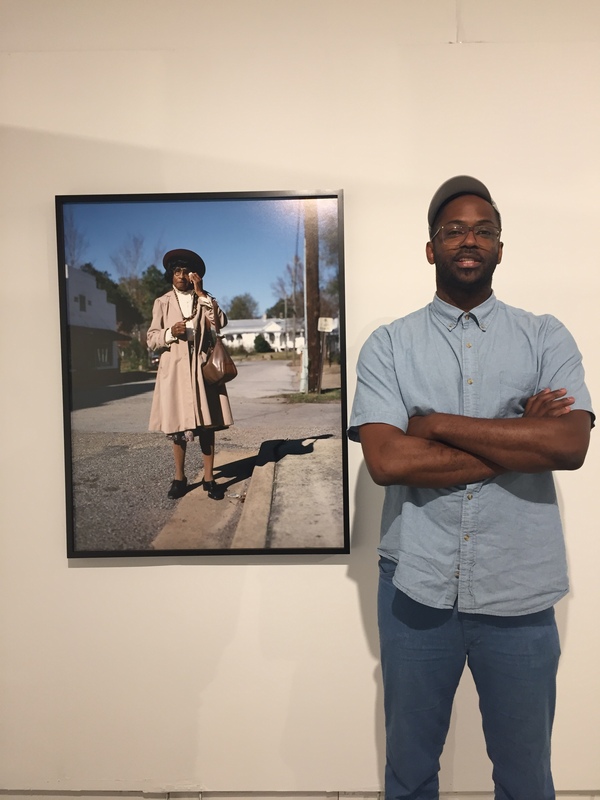 This year's honoree was Birmingham DJ Lee Masters (read about him here). The great thing about this show is that many of the sellers are from Alabama and have sections dedicated to music by Alabama artists. Also available were CD compilations of great Alabama garage band music on Cargo Mining Company Records label (http://www.cargorecords.net/). To me record shows are so much fun because of the wild card factor - you never know what you'll turn up. 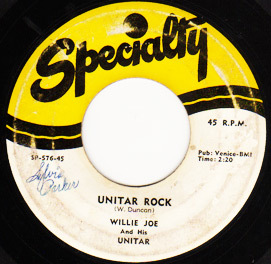 But it was a first when I pulled out a copy of "Unitar Rock" out of one of David Morrison's boxes of 45s and noticed that the original owner had writer her name "Sylvia Parker" in ink on the label. I showed it to David, told him my name was already written on the record and he threw it in for free!